1296 MHz: parabola dish 4,5 m, VE4MA feed, preamp ATF 54143, autotracking system from ES5PC. Winter - January 2010 has been extremly cold. Antennas are frosty second week already. Besides amateurs swallows are using the antennas. Swallows (also named martins) are Estonian national birds. 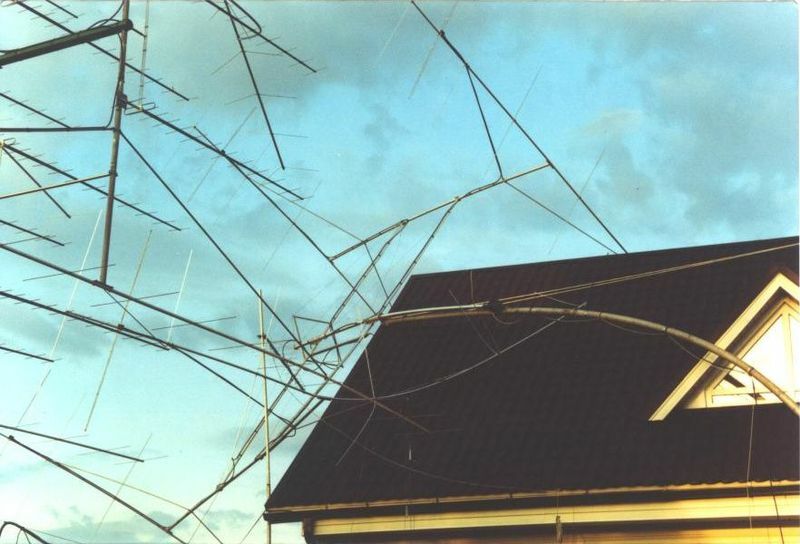 In January 2005 storm broke the antennas. Here is the picture of broken 12x15 el. 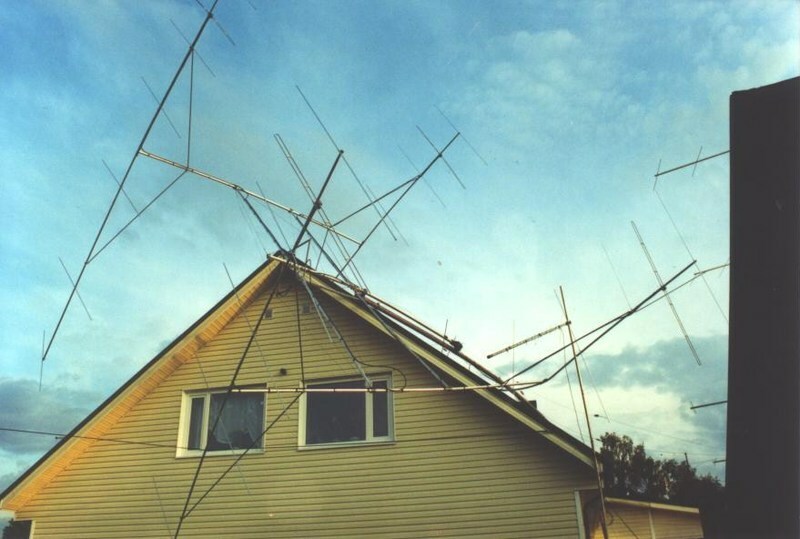 432 MHz and 4x18 el 144 MHz antennas. My good friend Viljo ES5PC on left and I ES6RQ. Reckless assistant caused crash in antenna system with seconds.